Solano County is just a small county in the Sacramento-San Joaquin River delta. It was important historically — it was an original 1850 county and one of the early State capitols was there — but today it seems a monotonous stretch of suburbia. Its boundaries have not changed much in over 150 years. 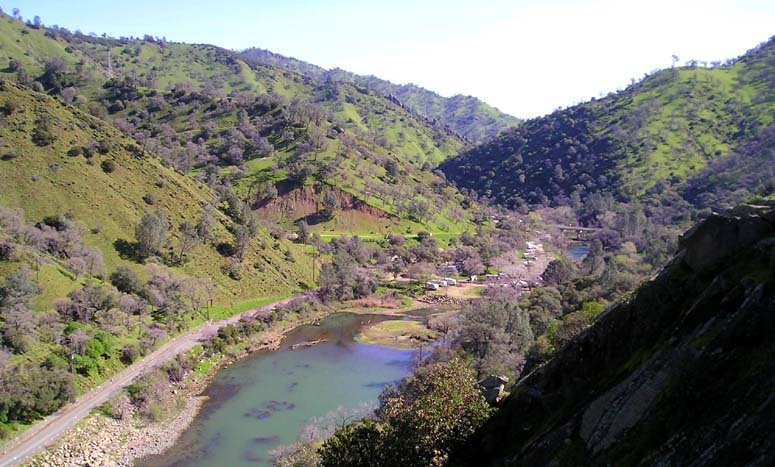 Yet there is fine delta marshland habitat at Grizzly Island reserve, and foothill woodlands in the northeast extend to Monticello Dam and along Putah Creek. There is excellent riparian habitat here. In the southeast, Solano has a bit of the Yolo Bypass bottomland. 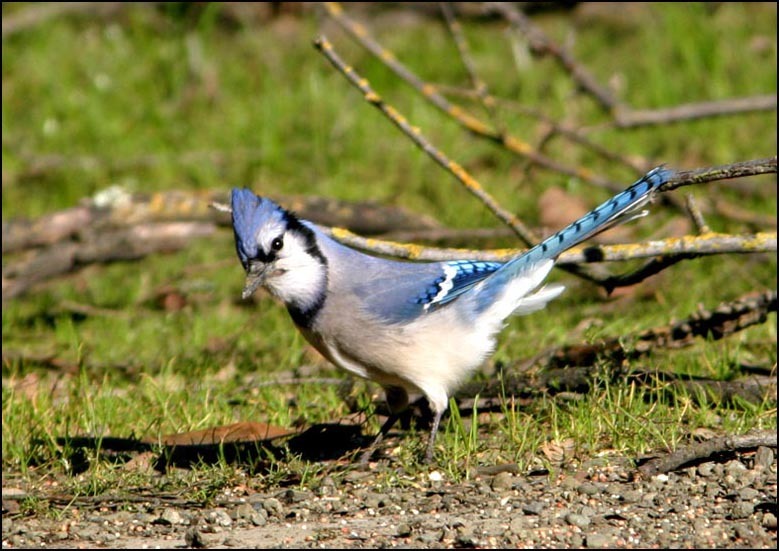 For Solano County it a vagrant Blue Jay that headlines my county shots. I've not been here often; it has usually been to chase vagrants. During the remarkable January of 2006, Solano had this Blue Jay, a wintering Ovenbird (below left), a wintering Northern Shrike, and a two-day wonder Snowy Owl (which we missed). I would have never anticipated this selection of rarities to occur in this much overlooked county. Lake Solano County Park, in the oak woodlands along Putah Creek, is a fine birdwatching spot; I shot this White-breasted Nuthatch (below right) there the same day as the Blue Jay and Ovenbird.